Mayor Sefatia Romeo Theken looks at the new Cape Ann Transportation Authority (CATA) bus Friday at the Rose Baker Senior Center in Gloucester. 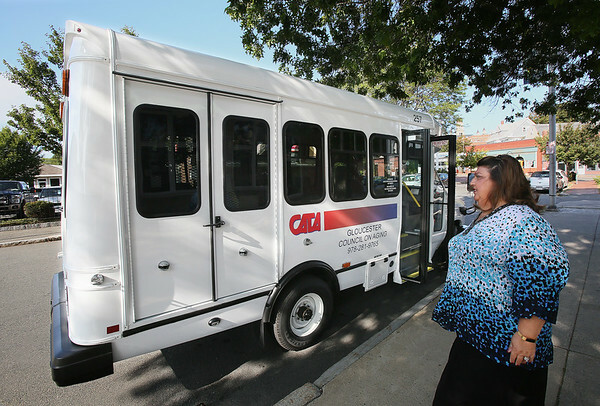 The eight-passenger bus, leased to the Gloucester Council on Aging through a grant from the Massachusetts Department of Transportation, is equiped with a lift and can accommodate two wheelchair-using passengers at the same time. It will be used to transport passengers for a variety of programs.